Note the mirror on the interior lid. 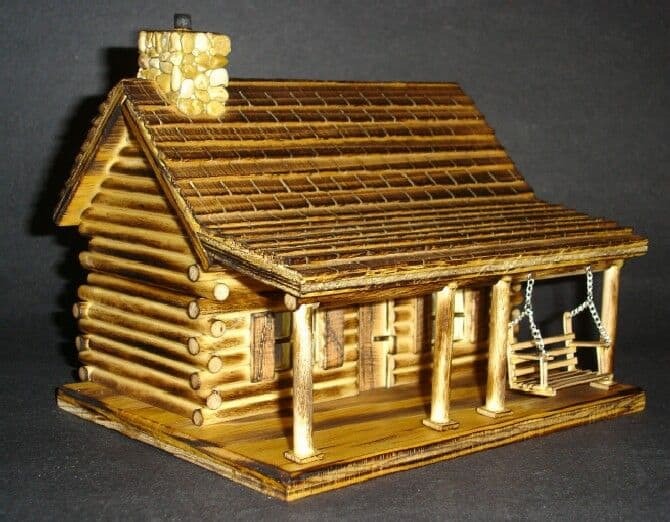 Email me with requests at: scottjackson@live.com, and we will see if they can be worked into a custom cabin, designed especially for you.I also do custom built log cabin urns and I just added an outhouse Christmas ornament. NOTE: Custom cabins vary in price. They are not going to be the same price as the base models that I display on my website. Thank you for your interest in my products. 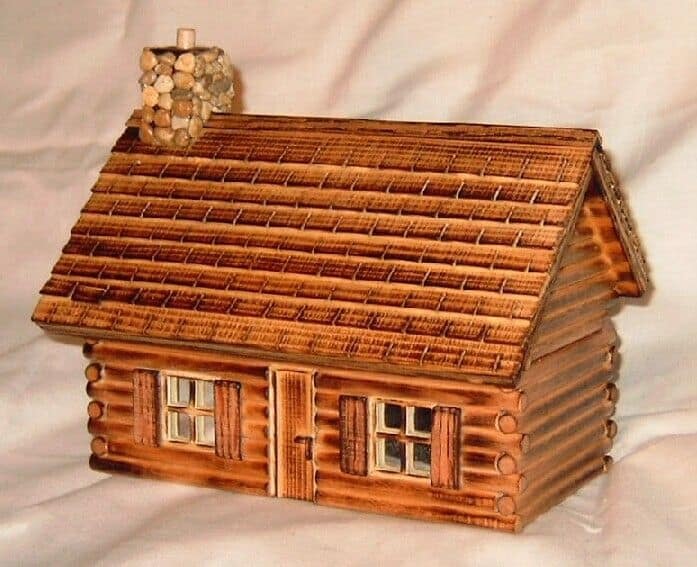 I will be happy to make your cabin or craft to suit your specifications. These products are made in Bandera, Texas. "COWBOY CAPITAL OF THE WORLD! Please ask me about my special promotions and discounts! 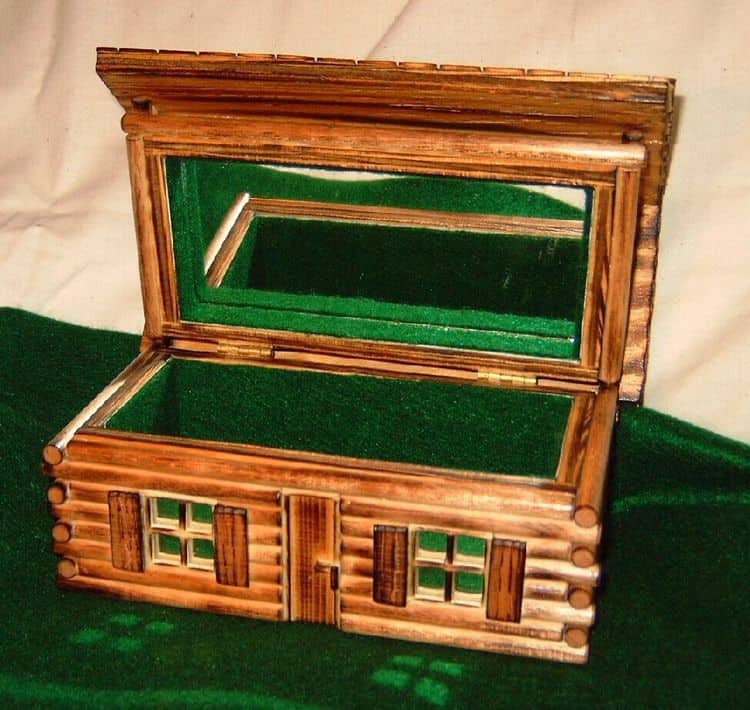 Cabin, with Porch and Swing, this cabin opens and can be lined with wood, felt or other material. This is my latest cabin. This one has a porch, and a porch swing. There is an optional water barrel, wood pile, bench or other items on the porch. This cabin can be lined however you like it (felt, oak, or cedar). price: $89.95 for the small version. I make various sizes. Prices will vary depending on size and features. I make one that is 14 1/4 inches wide, 12 inches high and 13/ 1/2 inches deep(front to back). The inside dimensions will vary as well, but will accommodate the cremation container. Please allow 4 to 6 weeks for this cabin. 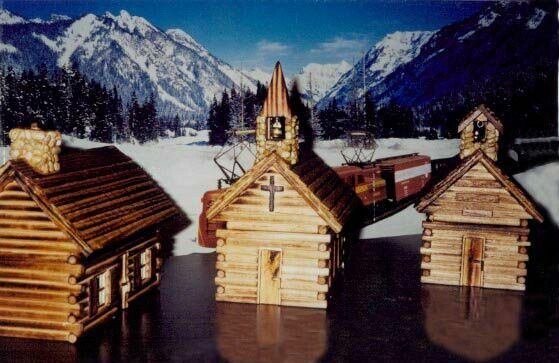 These cabins are all hand crafted one at a time and time for completion will vary depending on the detail requested.